The Rhone Apparel Sentry Performance Shirt. You hit the gym or trails with a buddy just after sunrise. By mid-morning, the workout’s over but it’s not yet time to head home. So you grab coffee out and maybe take a lap around town. It’s a nice way to spend the morning. But all’s not totally well. Your form-fitting stretch top and mid-thigh shorts, which performed for exercise, leave you looking like you raided a child’s closet when you’re sipping lattes and strolling by the bookstore. Why is it that so much men’s performance wear either works when you’re in the gym or looks casual when you’re not, but not both? The Rhone Apparel Mako Short. That seems to be the question Rhone Apparel set out to answer with its line of performance men’s athletic wear that, yes, keeps up with your workout, and also looks good when you find yourself in town after the trails. The Rhone Apparel Sentry Short Sleeve Shirt and Mako Short I’ve been wearing in and out of the gym just plain work for the active and ever-transitional life of the modern male. You never feel out of sync with your surroundings in Rhone Apparel. The Sentry Short Sleeve Shirt has all the technical features expected of a high-quality performance tee. 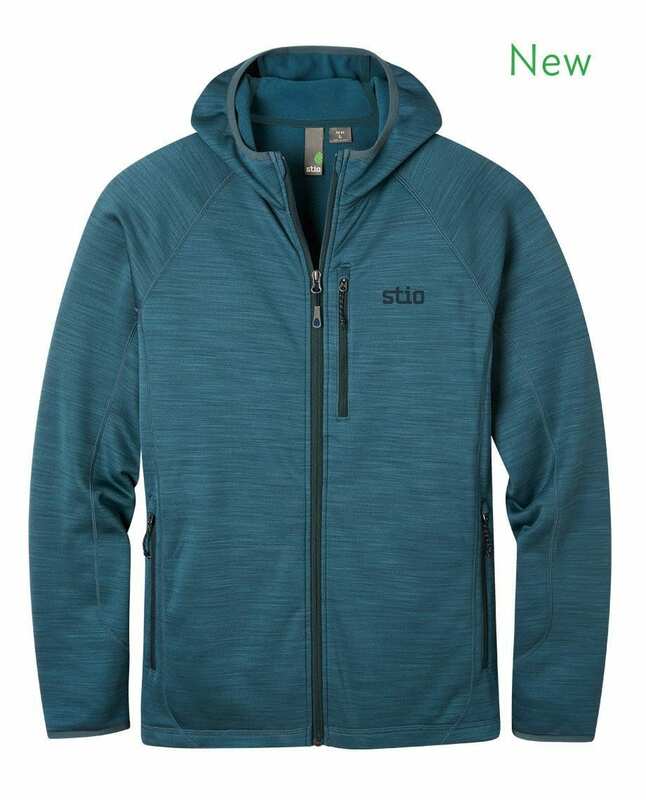 The material is moisture wicking, constructed with flat seams and integrates X-Static XT2 silver threads that deliver odor protection and antibacterial properties. The fabric composition is: 81% polyester; 10% Spandex; and 9% X-Static XT2 polyester. The Sentry is a phenomenal garment to wear during both high-intensity and low-effort activities. The Sentry can handle any level of intensity with ease. Excellent breathability and stretch are conferred by thoughtful fabric choices and clever stitch work. No amount of running or lifting seems to produce more sweat or smell than the Sentry can handle. Breathability is top-notch, conferred in part by creative stitching that produces lateral bands of ventilation around the tee. Aesthetically, the stitching, which manifests as subtle horizontal stripes, helps the Sentry avoid being another bland monochrome tee and draws attention to the wearer’s musculature without screaming about it. Casual, athletic, cool. The underarm panel breathes extremely well and adds v-shaped structure to the garment. Extra breathability in the underarm area results from a perforated panel stitched into the shirt. The stitch work and design of this panel are particularly nice. The way the panel is integrated produces a tapering of the bodyline when the shirt is on. It’s a cue to the athleticism of this coolly casual shirt. In addition to traditional training, I put the Sentry to work on yard duties: mowing, weeding and lugging mounds of organic matter around in 80-degree sun. The Sentry performed great in both workout and work environments – it was to be expected for the exercise, but I was pleasantly surprised at how it handled real labor. The flexibility of the material and its great breathability were boons for the chores, making moving around effortless and limiting heat trapping below the neckline. The shirt’s good looks also came in handy. An unanticipated chat with a neighbor in the middle of my gardening didn’t leave me feeling self-conscious, even as detritus coated my forearms. Had I been wearing a beaten-down old cotton tee, I’d have surely been soaked and smelly; had I been in a stretchier-tighter performance shirt, I’d have maybe been dry (like I was in the Sentry), but I’d have also looked like the guy wearing a Speedo at the pool party. The Rhone Apparel Sentry was a perfect high-performing shirt that also happened to make me look put-together for the task at hand. That kind of fit’s not easy to come by. The Sentry moves with the body. There’s no grabbing or unwanted tightness in the shirt. Rhone Apparel considers the Sentry garment the “entry point” to the Rhone brand. It has a nice range of technical features, sure, but it also has that coolly casual athleticism that works when you’re not working out. And it fits nicely and comfortably for both athletic and casual undertakings. For example, I wore the Sentry for a leisurely morning bike ride up to the library. Browsing books in the Sentry was as natural as scanning the dumbbell rack. Later that same day, an impromptu lunchtime outing that didn’t leave time for a wardrobe change resulted in me wearing the Sentry to a relatively nice café. At no time did it (or I) feel out of place. The Sentry I’ve been wearing is knitted in Rhone’s “Destroyer” color. The name is apt since the color does conjure Navy vessels moored at bay. The color also could be called “Porpoise”; there’s a lot of jade in the gray. Complementing the principal color is judicious use of rust-ochre stitching. The pairing is decidedly masculine but still pretty in its way: the combination is much more GQ than, say, Guns & Ammo. A “triple-X” orange stitching design at the right clavicle reminds us that, pretty as it may be, this is still menswear. A nice design touch at the right clavicle. And, the casual but athletic shape and length of the sleeves asserts that guns can be displayed while still in their holsters. The cut of the sleeves and shoulders of the Sentry is a study in thoughtful detail. Rhone has done a great job ensuring the shoulder is roomy enough for easy movement. The roominess also confers on the shirt a relaxed temperament. Yet the sleeve length seems to have been engineered to terminate at a flattering part of the upper arm, enabling the wearer’s muscle to dictate movement of the hem. The effect is that the wearer can appear insouciant and still display the effects of those workouts. Casual and athletic. The Sentry is cut to flatter the upper arm, but the tailoring is such that you don’t look like you’re wearing a tight shirt. The Rhone Apparel logo is emblazoned at the right shoulder blade in reflective epoxy. The logo seems to be a visual representation of the Rhone River, which inspired the company’s name. To my eye, the logo also looks like the business end of a trident. Either way, the tripartite ensign is cool, athletic and casual. So, yeah, it fits. The Rhone Apparel tripartite design is at the upper right shoulder blade. On the inside of the bottom hem of the shirt is printed an inspirational quote. It’s printed upside down, presumably so that if, while in the midst of a tough routine, you can garner strength from it by flipping up the bottom of the shirt. “While living I want to live well.” I guess the imprint (there’s a different one on each of Rhone’s products) is a differentiator, but it kind of feels gimmicky. I have chosen to ignore it, and yet, the statement does fit the Sentry. This is a shirt that performs great in just about any environment: When you’re wearing the Sentry, all’s well. Because it’s unflattering and possibly illegal to wear only a shirt, Rhone Apparel also manufactures top-quality shorts and pants. Among the offerings is the Mako Short, a nice-fitting, hard-working and good-looking garment that offers a ton of utility and great versatility. I found the Mako Short from Rhone to be ideal for weight training. Ample storage, four-way flexibility and modesty in design work great in the weight room. The fabric is an ultra-lightweight F4 nylon that stretches four ways (i.e., it’s very flexible without feeling flimsy). 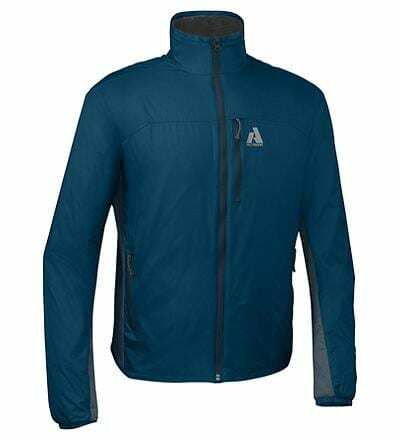 The fabric wicks moisture and is quick drying, so it’s made for tough workouts and unforgiving environments. Holding the body panels together is flatlock stitching that couldn’t be cleaner or more secure. The fit and finish of the Mako is military-grade. An elasticized waistband with integrated drawstring keeps you legal, while a 9-inch inseam ensures easy movement in case of a high-speed chase. Rhone Apparel’s garments are designed to help bridge the gap in men’s performance wear between uber-specialized technical attire that works great but looks weird and casual wear that looks nice but can’t stand up to the tall order of a real workout. The Mako Short is clearly designed to perform this one-and-done duty. In most respects, it does so with ease. However, it’s my opinion that the Mako is at its best for those whose training regimens are similar to mine: more emphasis on weight training and cross-training; less emphasis on distance running and specialized sport-training. It’s not that the shorts can’t perform at high levels in various pursuits (to the contrary – the shorts are of the highest quality); it’s just that the one-and-done design may leave some – particularly distance runners – who are accustomed to more specialized gear feeling a little underdressed. For my use, which includes daily gym bouts, some sub-5 mile runs and mountain biking, the Mako performs admirably. And, for me, the one-and-done philosophy of the shorts is not a limitation. My favorite use is for lifting because of the great media pocket for tunes. The media pocket features an adjacent headphone port to keep wires in check. The media pocket is very well executed. The roomy fit coupled with the 9-inch inseam also makes for great mobility and modesty among the weight stacks. Squats and deadlifts don’t result in seam-straining tautness in the Mako. I’ve torn shorts before on leg day, but the construction quality of the Mako means I don’t have to worry about that when wearing Rhone. Similarly, during bench press, the four-way stretch fabric has enough structure that it doesn’t want to hug the jewels. You don’t have to worry about indecency during your chest burnouts. When out on runs, I like the fit of the shorts; the 9-inch inseam is a great length for running, and the waistband keeps the shorts snug without riding up. I will note, however, that the material tends to catch the wind created by forward momentum. And cross-breezes also take hold of the fabric. This complaint is a minor one, but is also why I feel distance runners accustomed to training in more specialized shorts could feel a little out of sync with the Mako during long circuits. I did not notice any meaningful material grab while biking, nor any issues during walks and hikes. Plus, the myriad utility features of the Mako are best put to use during weight training or shorter-distance routines. For instance, the Mako features a brilliant zippered stash pocket at the left hip (in addition to two traditional front pockets) and a zippered back pocket at the right glute. There’s also an amazing well done mesh media pocket and complementary headphone port in the right front pocket. Access to all these pockets is like being endowed with a third hand: Damn, I can hold a lot. The security pocket at the left hip is perfect for credit cards, cash and a key or two. When out on a 10-mile run or distance biking routine, these pockets will largely go to waste. One doesn’t carry loose change, an iPhone and some dog treats in pockets during a half marathon unless a couple of screws are loose. So it’s really only during shorter jogs, dog-walking jaunts, hikes or ambling around the market that the pockets get fully utilized. Regarding those pockets, Rhone deserves a gold star for finally getting right what so many clothes-makers seem to forget. When you load a pocket with stuff, you add weight where that pocket is. If pants only have useful (e.g., zippered) holsters on the right-hand side, you get unwanted side sag anytime you load up. Rhone did a tremendous job balancing the load-bearing pockets in the Mako; they can all be put to full use without compromising fit. Such attention to design and detail is unsurprising after spending time wearing Rhone Apparel. There’s not one lazy detail to be found. The Mako name couldn’t be more fitting. The material, which, yes, could handle breezes better, looks absolutely wicked. It’s sharkskin: the same hue and finish as the body armor of a shark my buddy wrangled on board during a deep sea fishing trip. Very cool (though less terrifying). One fantastic design touch on the Mako is a fabric panel that runs on the underside of the short from hem to hem. The result is an elimination of under-crotch seams and material bunching that look terrible and feel worse. It’s a fantastic design touch that should become standard in performance menswear. The gusseted area at the bottom of the short is a masterful touch – very comfortable. The structure of the short is great for times when you don’t want to be too exposed, like during bench press. At the bottom right thigh, there’s that “triple-x” stitching design. And on the outside of the left thigh, the Rhone River/trident logo appears in silvery, reflective glory. The word “Rhone” is imprinted at the right glute underneath the zippered back pocket. And there’s a Rhone inspirational quote imprinted on the inside of the short underneath the rear waistband: “Man is not made for defeat.” This quote, unlike that on the Sentry shirt, is unreadable when the garment is on; its meaning is also perhaps a bit more inscrutable. The zippered pocket at the back right glute features Rhone lettering underneath. Overall, the design of the Mako is excellent. The shorts look and feel really good on, and the generous use of fabric and smart paneling provide more modesty than can typically be found in athletic shorts. I’ve worn them all over the place and have always felt comfortable and appropriate in them. Biking to the nearby supermarket, buying salmon at the fishmonger, dragging the dog for a walk in the neighborhood, doing random housework, fighting through heavy squats, breathing through a yoga routine…you name it, the Mako does it with élan (and plenty of smart storage). Rhone Apparel makes great stuff. Both pieces are of the highest quality, boast ridiculous versatility, and look and fit great. You can’t go wrong. Any quibbles about these pieces are minor and simply offered in the interest of giving a comprehensive look at the garments. For intense training and easy lounging and everything in between, Rhone Apparel really gets it right. Sizing is true according to the size guide on the Rhone Apparel website. For more information, visit rhoneapparel.com. 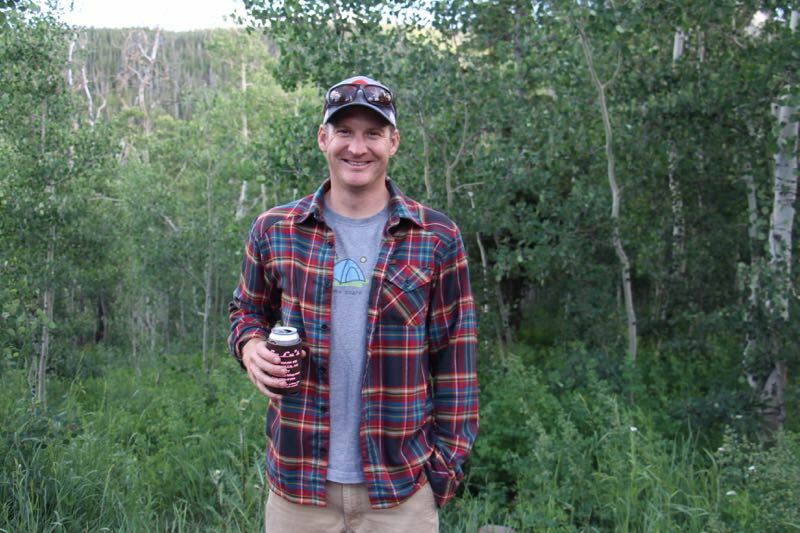 Steve runs, lifts, bikes, hikes, and swims, but never at the same time. He's currently based in central Oregon, where he lives with his wife and dog.